How Can I Upload Files To My Project? If you have an approved contract for the project you will also see the proposal and contract PDF located as an existing attachment. There are no limits to how many documents/files can be uploaded. 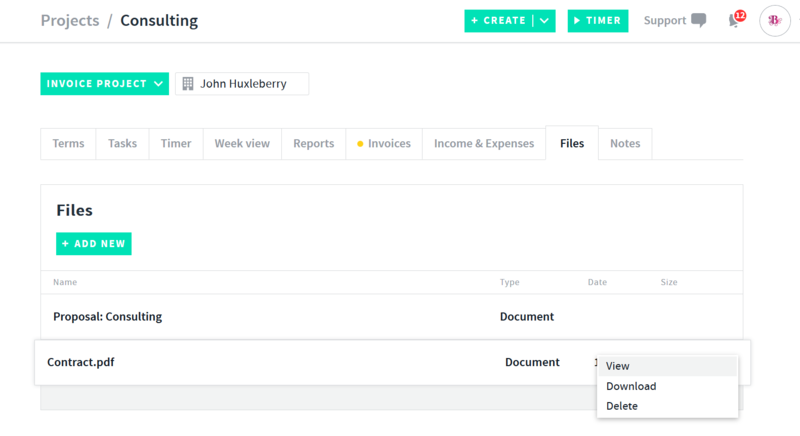 You can send attachments to your clients anytime when sending an invoice and attaching a file from the compose email section. 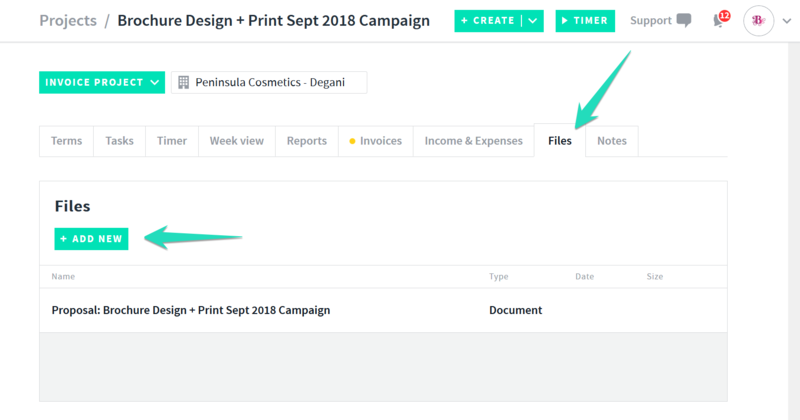 You can attach files from your shoebox tab to projects by selecting the options via the 3 dots icon next to the shoebox file > attach to project"